Walking tour lasts approximately 1 hour and will have uneven terrain, stairs, and narrow hallways. 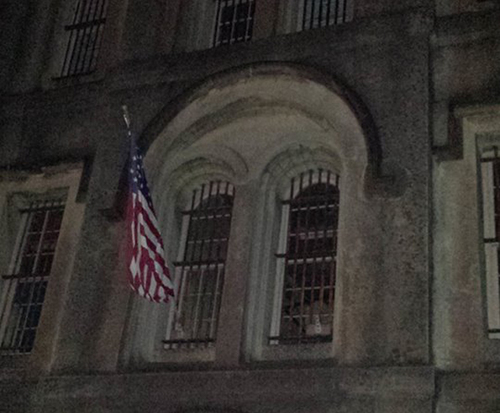 For a creepy, paranormal adventure in Charleston, SC, the Haunted Jail Tour is a perfect activity; visit the depths of the old jail and learn the history of the facility while experiencing the stories of the past. 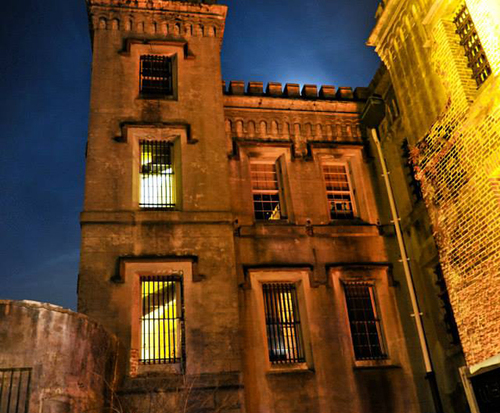 As informative as it is creepy, this jail tour allows guests to learn about the history of the jail, which operated for more than a century from 1802 to 1939. Plenty of the building’s original structures are still intact, including the warden’s quarters and all of the cells, which makes the entire experience of braving the estate plenty authentic. 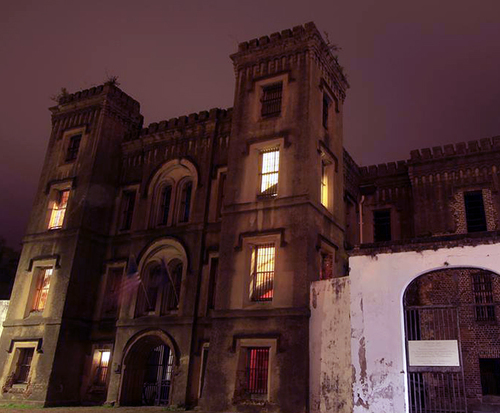 You will be guided through the dim hallways and taken into cells, and for 45 minutes you'll get to see where some of Charleston’s worst criminals lived until their death— namely, Lavinia and John Fisher. Lavinia Fisher owned an inn 6 miles north of Charleston, which was referred to as the Six Mile House, along with her husband John. According to the legend, Lavinia would lure the men into her parlor for tea, add a secret lethal ingredient, and if necessary have her husband help collect valuables and clean up. Lavinia Fisher is often referred to as the first female serial killer in history— a fate that led both her and her husband to spend the rest of their days in the Charleston jail until their execution in 1820. The couple was buried in the field right by the old jail, and she is often sighted around the grounds. If you are looking for a unique experience to add to your Charleston vacation and are a fan of the supernatural, this tour is definitely for you.